An introduction to concepts, techniques, and best practices in programing interactive web-based data visualizations for students new to the fields of computation and information design. Maps and hybrid visualizations that describe different aspects of a city, from the pairing of foods on its menus, to registration of international businesses, to the economics of commuting. A dashboard for exploring NYC’s 311 calls, a popular public dataset with many possibilities. Visualizations of colors found on the streets of Cambridge MA using Google Street View. This course introduces key concepts and techniques in interactive data visualization to students who are new to the field of computation and information design. Through a series of in-class exercises and take-home assignments, students will critically engage with visual representations of data and produce interactive visualizations that serve analytical and narrative purposes. Students complete weekly or bi-weekly tutorials on technical topics that are useful in creating interactive web-based visualizations. These exercises complement in-class code demonstrations and lectures on design principles and critical perspectives. The lectures and exercises are designed to allow students to apply data-centered practices to their own disciplines and areas of research. Students will complete a final project based on their own interests. Open to students within GSAS, GSAPP, Barnard and Columbia Colleges, School of General Studies, and others by permission. Please attend first session if you are interested in taking the course. The Center is pleased to co-sponsor The Art of Storytelling, a half-day conference on data visualization convened by the Columbia University Libraries. Full program and registration is available here. The Center for Spatial Research is pleased to announce a call for applications for a full-time Associate Research Scholar position for the 2018-2019 academic year. The position, within the Center for Spatial Research (CSR) will focus on critical work with Geographic Information Systems and design for a new grant-funded project mapping historical New York. We invite applications from candidates with a strong interest in interdisciplinary work whose research practices combine GIS-based methods and strong visual design. The position is for one year and renewable for up to three additional semesters. The position will report to the Director of CSR and will be part of a collaborative project team between CSR and the Department of History. The incumbent will work closely with a postdoctoral fellow in History and Principal Investigators to: develop methodologies for historical geographic information systems research, including geocoding census records; create compelling visualizations of research outcomes for broad public audiences; participate in writing and creating maps and visualizations for papers and other publications in journal and multimedia formats; and develop curricula and teaching materials related to this research. Successful candidates must have experience and interest in using GIS-based research practices to open up new questions in, and modes of representation of, urban environments. Candidates must hold a Master’s degree or the equivalent. Successful candidates will have robust experience with GIS-based research, and methodology design as well as a range of other computational tools for urban research and must be eager to acquire additional skills through their work with CSR. Experience with historical GIS research is a plus. Candidates will have the ability to do collaborative and cross-disciplinary research and the ability to convey specialized knowledge to students and faculty working in the Center. Candidates should demonstrate ability to show how their own fields of specialty intersect with or bring new tools and research methods to research in the urban humanities. Preferred qualifications include publication in recognized media and conference presentations. Candidates for professional officer of research positions are expected to have established their ability to conduct original, independent research a field of the humanities. Associate research scholars' qualifications and contributions to their fields of research must be equivalent to those of an assistant professor. for further information about this position and to submit your application. You will be asked to submit your 1-2 page letter of interest, CV, and a portfolio which demonstrates your work and research experiences. Review of applications will begin February 1, 2018 and continue until the position is filled. 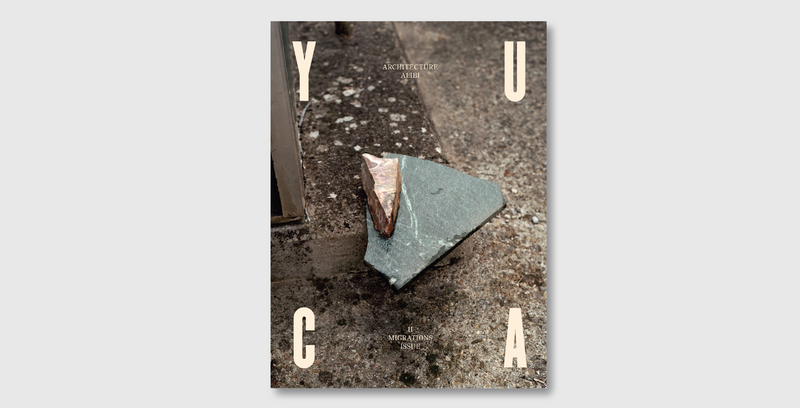 This article published by Yuca magazine describes the Conflict Urbanism: Colombia project. In it, Juan Francisco Saldarriaga describes how, having grown up in Colombia, working on this project has changed his understanding of the conflict. The article describes the maps, graphs, color pixels, and thickening lines that have shown the size and magnitude of the worst massacres, revealed the moments and events that caused stakeholders to change positions, and made evident the constant and painful journeys of the displaced and other victims.